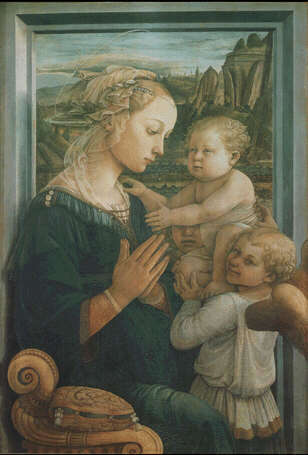 This Madonna with Child and two angels painted by Filippo Lippi around 1465 is not only a devotional painting: delicacy and sweetness of Virgin Mary show a new way to depict a religious subject, more and more close to real human beauty. The setting of the "scene" represented and even the position of the Virgin Mary are absolutely new, even if not even revolutionary. All these traits and innovations will inspire many painters after Filippo Lippi.